The first day of ISCAR Summer University welcomed 16 participants from Russia, Brazil, USA, Argentina, Switzerland, South Africa and Estonia. 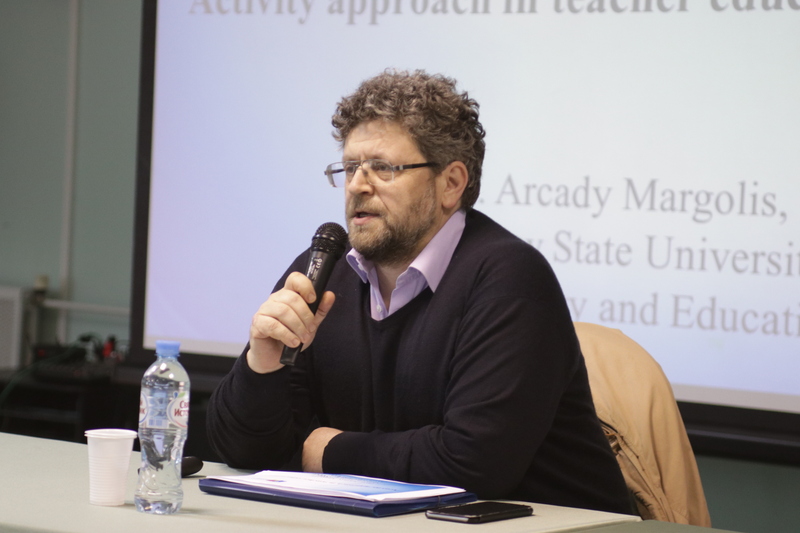 The event was opened by professor Vitaly Rubtsov – Rector of MSUPE and Head of the International UNESCO Chair “Cultural-historical psychology of childhood”. All the professors greeted the young researchers and introduced themselves along with their professional interests. 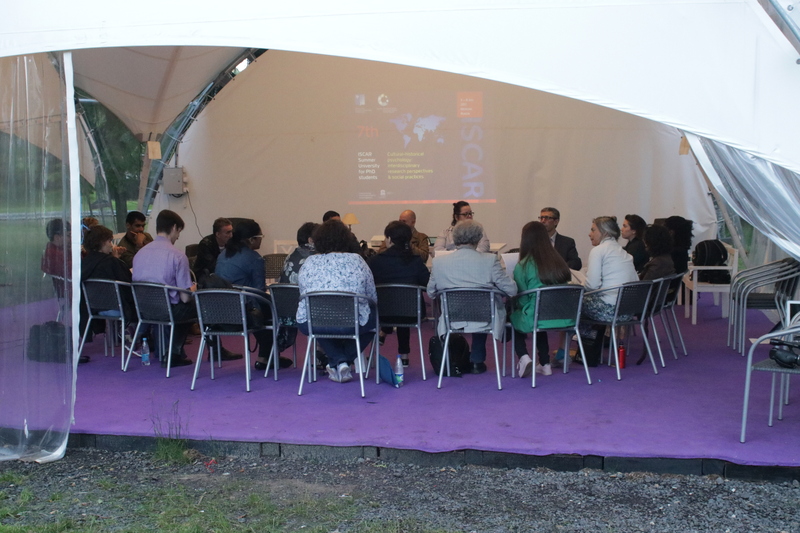 Then all the participants shared their expectations about the ISCAR Summer School and the themes of their thesis. 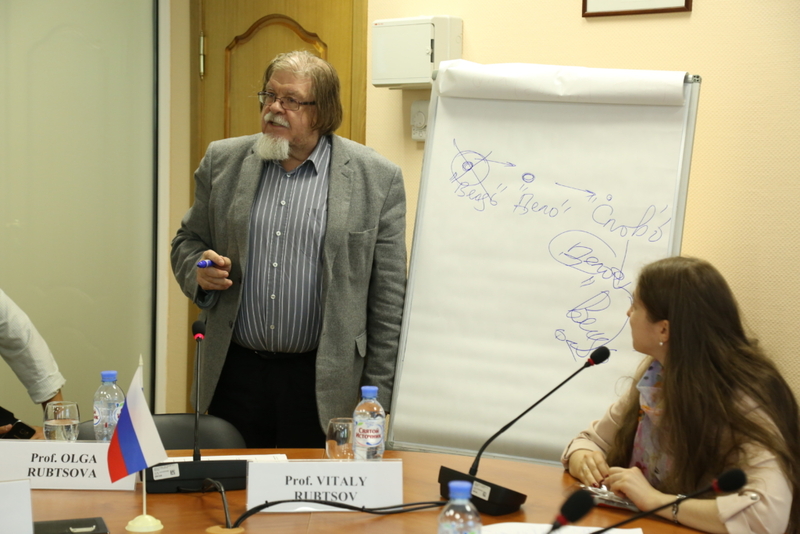 The first lecture was given by professor Rubtsov where he delineated the fundamentals of the cultural-historical scientific school in a tree of notions. He highlighted the concepts of culture and activity as central for the theory and then discussed how they were used by representative authors of CHT. Following this, he presented some sophisticated ideas on the construction of collective subjects within a social situation of development and the problem of the ideal as a still puzzling theme. 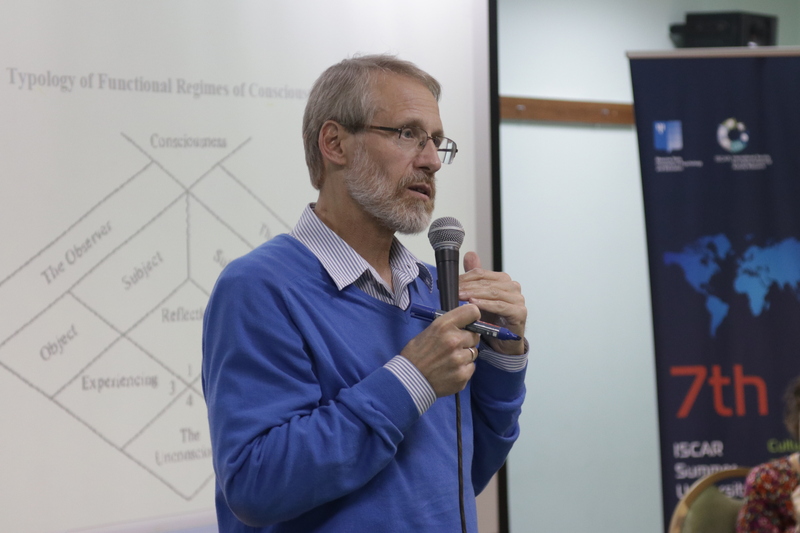 After this first lecture, professor Harry Daniels gave his lecture focusing in the aspects of social structure and agency in learning and development. His main thesis was that nowadays the social structure was understood not as a fixed landscape but as a set of possibilities open to the individuals. Then he showed how the architectural design of schools established different social situations of development and how the individuals cope with them. The last lecture was given by Metropolitan Ignatius. His first statement was that there was no scientific school of psychology which had the same antiquity as the Christianreligious tradition. He asserted that the CHT shares the foundations of the Orthodox Russian religion and explained that the ideas of synthesis and spirituality were fundamental to both. Then he brought up the concept of the unity of body, soul, and spirit and explained the relationships between these three components of the human being. 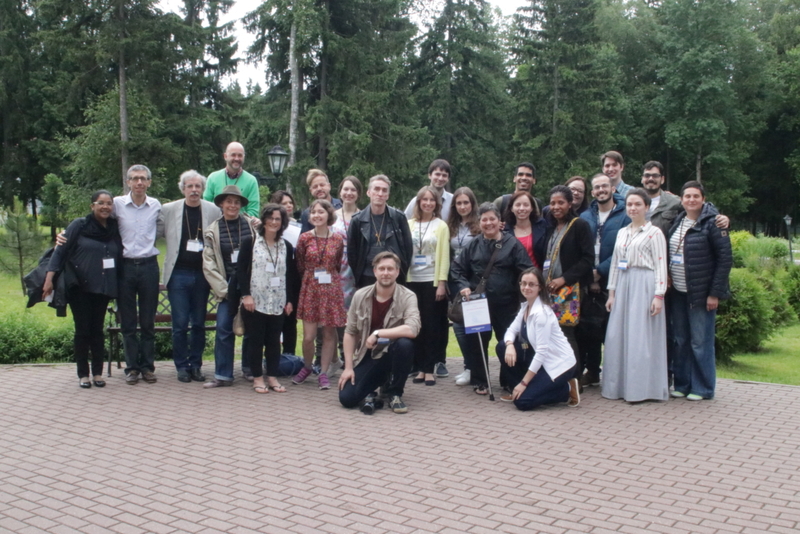 Finally, all the participants had a chance to talk to each other for a while, take a group picture and, after this, all the PhD researchers and some of the professors went to the Moscow suburbs where the ISCAR Summer University was held. 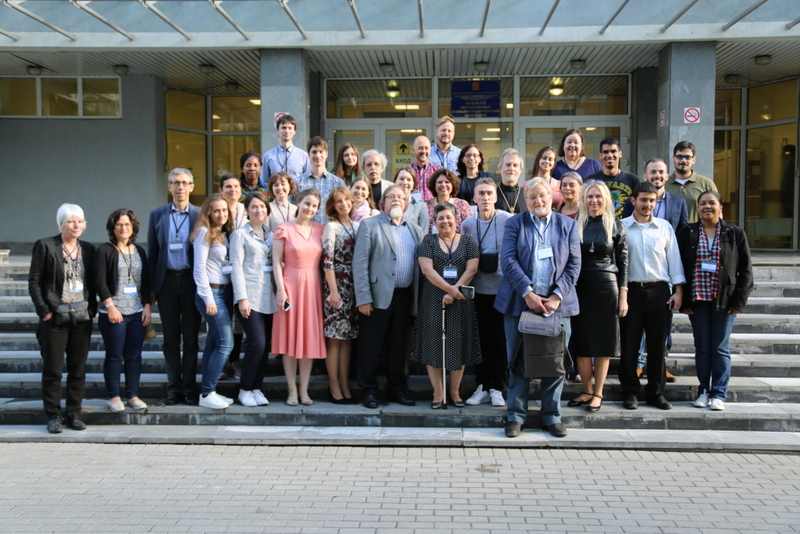 After the first introductory afternoon on the university campus and late night transfer to Bekasovo rest-house, the program of the second day of ISCAR summer school was intense: there were lectures and discussions, round table session, the first colleagues presentations and evening event reading group. In the first lecture “Cultural-historical theory and research methodology: refocusing lens on development” professor Nikolay Veresov shared with us an important CHT (cultural-historical theory) mantra – human minds are historically rooted, socially constructed and culturally shaped. This meaningful phrase is a core content of social interaction and it provides working instruments to theory and understanding what?, why?, how? to study. Before lunch took place there was a round table which was moderated by professors Dafermakis and Veresov. 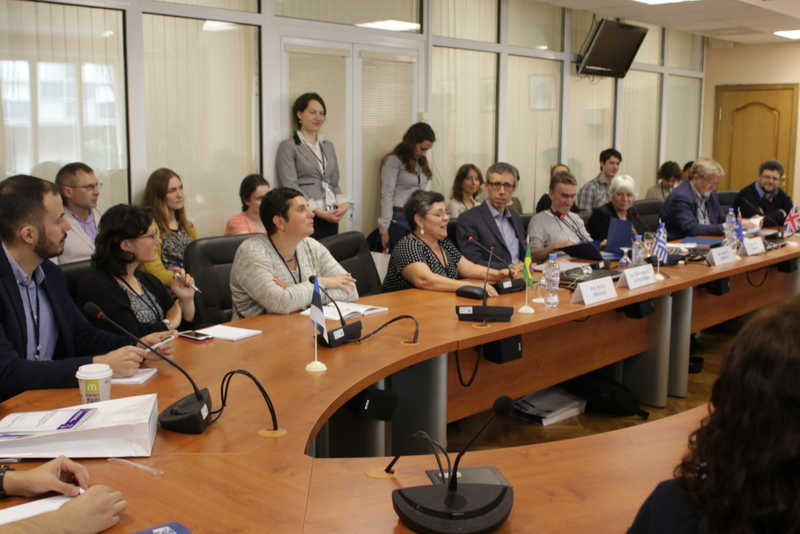 Topics discussed concerned modern research in the scientific school of L.S. Vygotsky. The discussion’s main conclusion could be an idea that it is very important to understand the impact of geographical location. 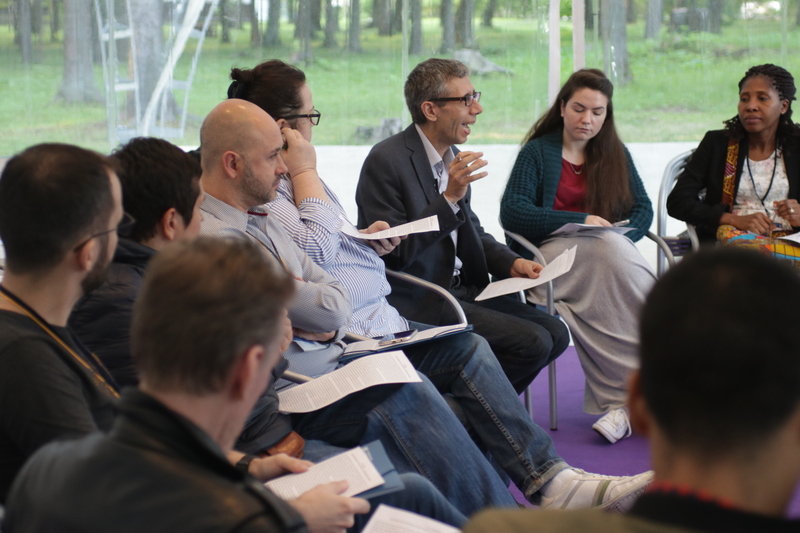 The last event that ended the long and substantial second summer school day was a reading group lead by professor Manolis Dafermakis. This special event focused on L. S. Vygotsky “Historical meaning of psychological crisis”. For many participants this was the first experience of reading collectively a Lev Vygotsky text. Manolis, as an expert of epistemological thought, guided us to read word by word and sentence by sentence, trying to establish Vygotsky`s true meaning. Via proclaiming we tried to perceive the different shades in the text of Vygotski. It truly is a skill to read Vygotski. On the whole, on Wednesday the presentations and lecturesdealt with the concepts of Cultural Historical Theory applied in crosscountry research projects on inclusive education and disabledstudents. More specifically, the roundtable held in the morning by Profs. 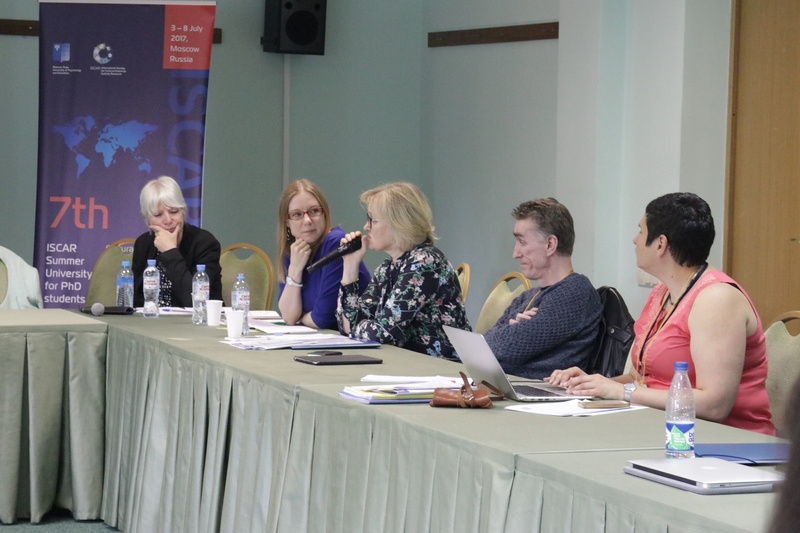 Alekhina, Fidalgo, Kloetzer and Porter tackled differentmethodologies which were used to be the framework of theirinvestigations related to inclusive education, English proficiency levelin Russia as well as broader professional Education. After that, there were 3 Brazilian students’ presentations onCritical Collaborative Research. They were also the supportingmethodological approaches of 3 inclusive education contexts:“inclusive” classroom, deaf bilingualism and teacher development forstudents with special needs. Then, Prof. Zaretsky showed examples of different possibletypes of interactions one can have with children based on Vygotskianinterventionist approach concepts. Moreover, Prof. Zaretsky alsotalked about how to engage disabled children in social interactions,taking into account their special needs. Later on, there were 2 other presentations on using Critical Historical Theory to explore trauma among European refugees and todevelop school students. Subsequently, Olga Pichugina and Daria Vedmitskaya showed avideo to illustrate the tree of Cultural Historical Psychology whichgrounds their doctoral research project. Finally, Prof. Fidalgo gave a talk on the main features andpeculiarities of Critical Collaborative Research as it had previouslybeen required by some participants of the event. Then, Prof Veresov explained the principal differences and roots of Critical Historical Theory and Critical Historical Theory Activity. One more summary of July, 5.More impressions, more details..
For me, this day was remembered by a large number of bright and interesting research projects presented by the conference participants. Of the speeches for me, the most interesting were the report by Gail Womersley about using cultural-historical activity theory in studies of the phenomenon of trauma in refugees in Europe and the presentation by Daria Vedmitskaya and Olga Pichugina «The Tree of Cultural and Historical Psychology». I think that this «Tree» is a very interesting and large-scale project, which is able to present in the future a holistic idea of the ways, on which the development of cultural and historical psychology was held, beginning with the works of L.S. Vygotsky to our days. The greatest value in this work, in my opinion, is that the «Tree» is formed thanks to the live information received from the set of interviews of the followers of L.S. Vygotsky. It was also very interesting to learn about the practical application of the cultural historical theory in teaching children with learning disabilities. I had the opportunity to participate as a test subject during the master class of Professor V.K. Zaretsky and stay in the role of a three-year-old child, to whom the adult first explains how to open a box of sweets with a knife. I think that the most important thing that I managed to endure for myself from this day is the realization of how it is important sometimes to ask questions about the meaning of seemingly simple concepts that we are using both in everyday communication and in our scientific work. For example, the “question of the day” for me was the following question: “What is development for you?”. 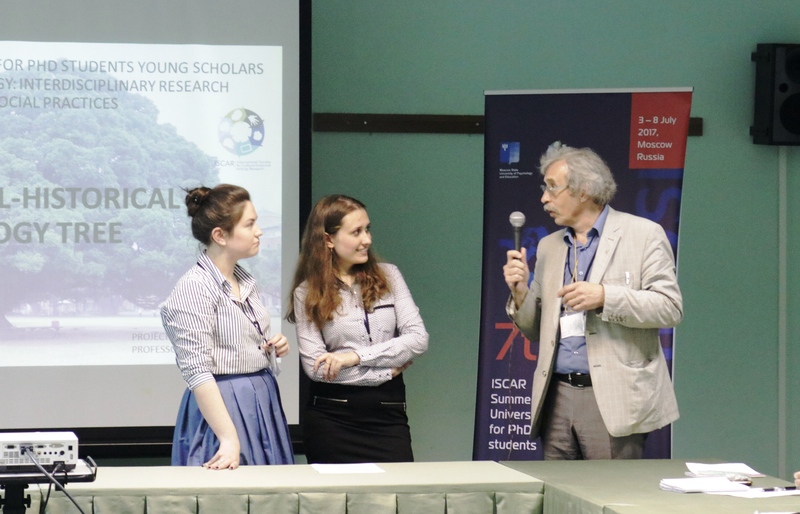 The fourth day of ISCAR Summer University included key lectures and discussions in addition to the final student presentations. The day began with the presentation of Jeferson Renato Montreozol (Pontifical Catholic University of Sao Paul, Brazil). His theme was “From Unconscious to Sexuality: an analysis since Historical-Cultural Psychology” where he presented an interesting relationship between cultural-historical theory and psychoanalysis and the way it played a role in his research. 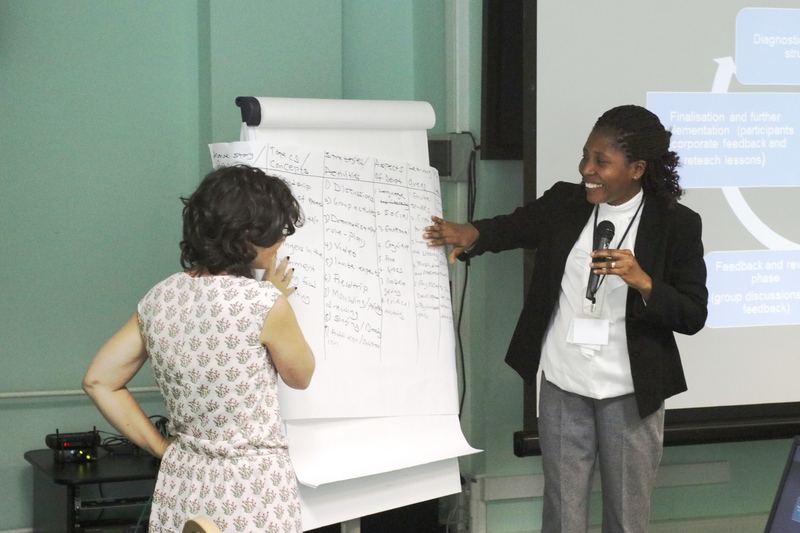 Then, Felecia Agbagbla (University of Pretoria, South Africa) discussed “Enhancing Ghanaian kindergarten teachers’ implementation of indigenous play-based pedagogy through a professional development programme”. She presented her research results on the pedagogical methods used by teachers in Ghana and was given feedback by the professors on how to analyse it. After Felecia, Kristi Mets (Tallinn University, Estonia) explored “Teachers’ professional learning experiences during the neoliberal educational changes”, which was based on the changes in the formation of teachers in the decade of the 90’s in Estonia. Finally, Lucineide Machado Pinheiro (Federal University of Sao Paulo, Brazil) offered “Curricular adaptations and schooling of deaf students from a social-historical perspective”, giving a very complete outline of his research project, which developed all the phases of the research process. 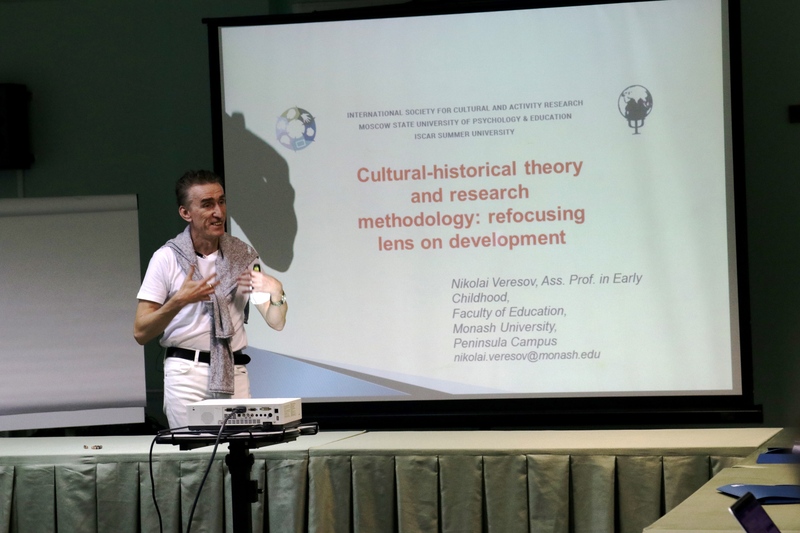 We then enjoyed a seminar and discussion on the topic “Cultural-historical psychology and activity approach as the basis of pedagogical education practices. Implementing the project of teacher education in Russian Federation” given by Arcady Margolis. First Vice-Rector of MSUPE, professor of International UNESCO Chair MSUPE “Cultural-historical psychology of childhood”. He explained some major features of the current changes in the teacher’s education programme and why these changes were taking place in the Russian Federation. After lunch, professor Manolis Dafermos gave a lecture titled “About reconstruction of the fundamental ideas of Vygotsky’s theory in the contemporary social and scientific context”. There he introduced the problems that the appropriation of Vigotsky’s theory in different cultural and social contexts pose to the contemporary discussion on the essence of the cultural-historical theory. Then, the final student presentations took place in the conference room. 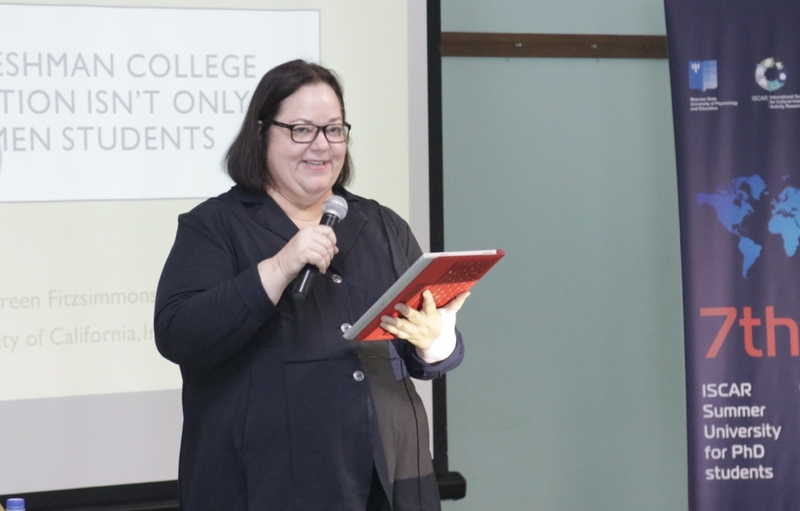 Maureen Fitzsimmons (University of California, Irvine) outlined “When First-Year College Composition Isn’t”. She presented the problems that freshmen face in college when they must produce a composition and her way of thinking the problem as a research problem. Then, Fabiano Ramos (State University of Sao Paulo, Brazil) charted “Becoming an English teacher: a sociocultural study of the inter-relationship among emotions, experiences and the (re)construction of professional identities”. He introduced his research and the way he collected data, and asked questions regarding the analysis of the data given that emotions is a complex psychological process. After dinner, study continued with a screening of The Miracle Worker and a discussion of the collaborative pedagogical approach seen in the film and the importance of that type of involvement in real life teaching. Discussion continued at the bowling alley with rotating team assignments where a broad range of bowling skills were exhibited. At midnight, a large group woke up Lucineide to sing to her for her birthday. We then wandered into the park to sing songs from each of the represented nations into the early hours of the morning, accompanied by the talented guitarist, Professor Viktor Zaretsky. The last day of the main program of ISCAR summer School 2017 was full of perezhivanie in both literal and metaphorical meanings: this day was devoted to acquaintance with this concept, and all the participants lived and experienced their own perezhivaniya of the final day of the main program. Professor Nikolay Veresov in a way of the dialogue with L.S. Vygotsky demonstrated to the participants the difficulties which arise when we try to explain perezhivanie. He considered different approaches to understanding perezhivanie, and emphasized some problems in translating the original texts dedicated to this concept. Together with the professor, participants tried to answer important questions: What aspect of human development is this concept related to? How is this concept connected with other concepts within the theory? Also, together with the professor Nikolay Veresov students of ISCAR Summer University were interested to consider perezhivanie as a prism that refracts social influences and discussed it. Professor Fyodor Vasiluk with Professor Tatyana Karyagina held an interesting workshop on the topic “Rethinking the concept of perezhivanie (experiencing) in the context of psychotherapeutic practice”. During the workshop, participants got acquainted with the typology of functional regimes of consciousness, concepts of experiencing, co-experiencing, and were able to apply the process of working with a client at different levels of perception. In order to help the patient with a real problem, to realize this problem, to experience empathy and finally solve this problem. 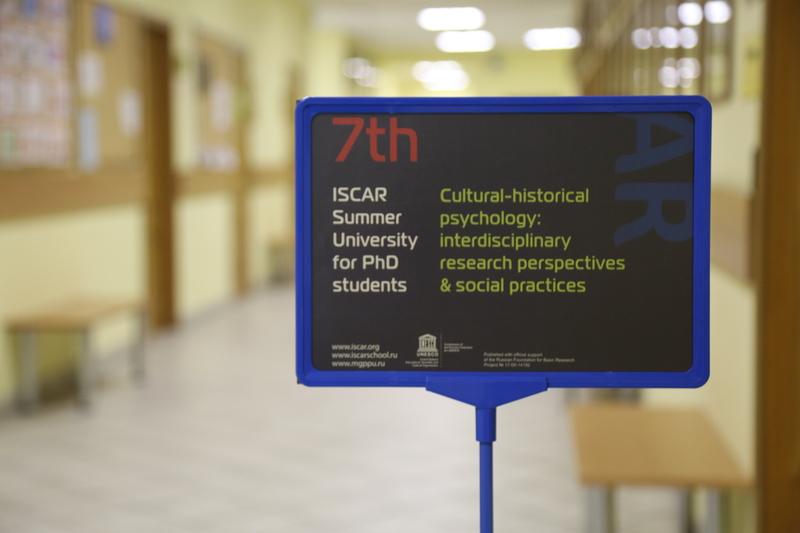 And, undoubtedly, all participants of ISCAR Summer University experienced their own acts of perezhivanie in practice: it was the final day of the University’s main program, and during five days everybody worked in close collaboration with each other, made friends, and discussed strategies for further cooperation. The main program was completed with a solemn presentation of certificates of participation, and an amazing feast in the restaurant, where all participants, including professors and the organization team raised their glasses to the successful ISCAR 2017 Summer University. The atmosphere of this evening as well as the whole week was highly warm and favorable. The next day the participants went on a sightseeing tour around Moscow, with a visit to the laboratory of Vygotsky and Luria and other memorable places.